pricing at $375 installed and run through July 1st. Since 1945 and into the future! Our company, a family business, was originally known as Krumholz and Son. 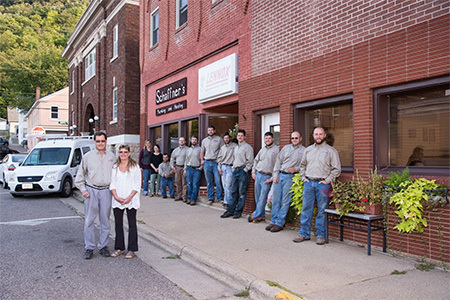 In 1945, Fred and Martha Schaffner bought the business, Virgil Sr. and Ruth Schaffner took over ownership in 1958, and in 1993 Virgil Jr. and Deb Schaffner took over ownership. Currently Virgil and Deb's three sons and nine other talented employees are with us. Members are properly trained for their respective jobs. Licenses and certificates are held from Dept. of Revenue, Dept. of Commerce, EPA, and WI DNR. We are fully insured, which includes General Liability, Workers Compensation, Auto, and Umbrella Liability. We offer a full line of Heating, Air Conditioning, Duct Cleaning, Geothermal, Plumbing, and Pumps. 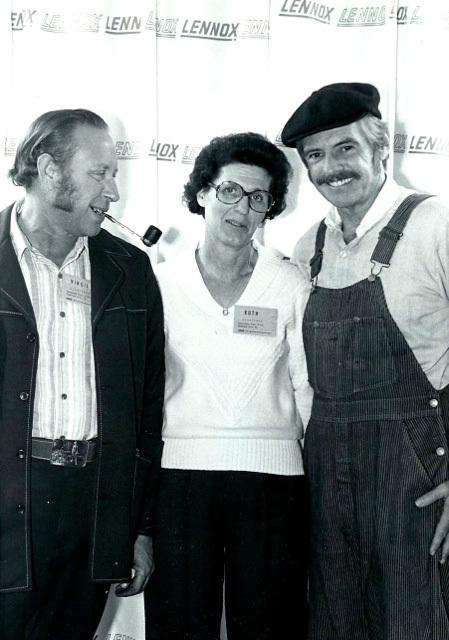 We have been Lennox dealers since 1940, and have acquired other product lines since then. We service and repair all brands. We are truly part of the communities with management and employees being members of different organizations and churches including Fire Departments, Lions Club, Knights of Columbus, National Guard, City and Township Governments. We are also members of several trade organizations including WPHCC, NFIB, WWWA, and Chamber of Commerce (Local and National). Our Fountain City office, located at 38 North Main (Ph. 608-687-3321) is in the original building, but has undergone many upgrades, and our Arcadia office, located at 104 West Main (608-323-3120) opened in 2006. We pride ourselves on work of the highest quality and we provide 24-hour emergency service (Ph. 507-429-7198). At this time, we would like to share our excitement as we move forward with our plans for future growth; the next generation of Schaffners will continue with our strong family tradition of gratitude and dedication as Deb and I take a step back. 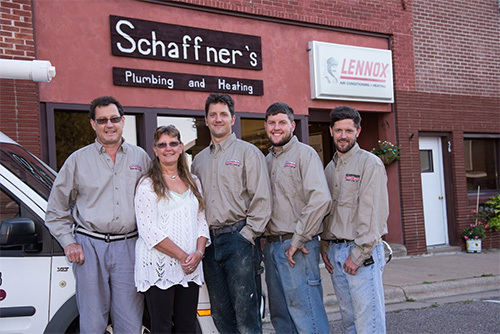 It is because of our strong commitment to our customers, employees and our business partners that we will continue to strongly and securely move forward with our dedication to our company's future as we provide excellent quality plumbing and heating products and services.